Beauty Professor: Black Friday Loot Preview! I bought a few unnecessary yet ever-so-thrilling items yesterday during Black Friday...the following images are a mere preview of some upcoming swatch-intensive posts! What did YOU buy on Black Friday?! I've been waiting to get the TF Shade and Illuminate compact and blush in Frantic Pink for awhile now...I am having so much fun experimenting with these shades! This pink gem is called "Sacura"
I am wearing all three newly procured products here...please check back early next week for official swatches and reviews! Thank you so much, Sara...I am a sucker for pink gloss and this one is quite unique: semi-pale, fully opaque with no discernible shimmer...loving it! What are some of your favorite pinks lip colors? 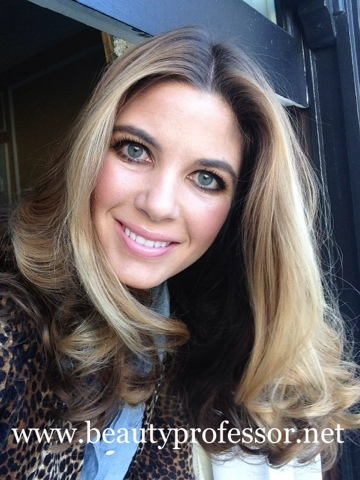 I read your blog every day and you always look gorgeous, but today, even more. 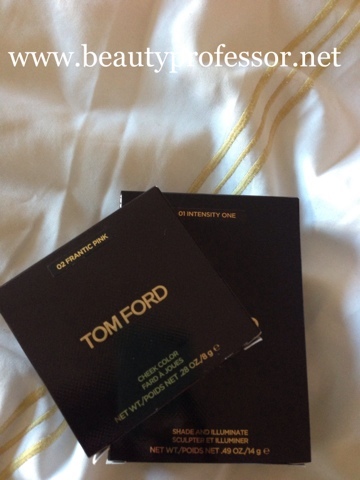 I have Tom Ford Frantic Pink blush but I've never used it. Now seeing how good it looks, I think I need to. Wow...thank you so much for reading regularly and also for your super sweet compliment! You are so lucky to have had Frantic Pink in your collection...it is quickly becoming one of my favorite pink blushes! Can't wait to hear how you feel about it once you've used it! That lip color is STUNNING. I never tried Beauty Is Life...may need to go to Barney's today. 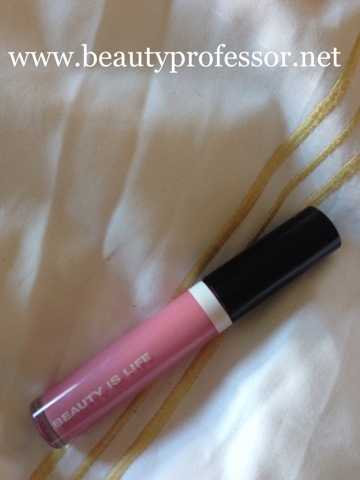 Thank you, Nisha...I think you would love the Beauty Is Life line...let me know what you think!!! Thanks Jo...working on them this week!! Something about the Black Friday hype made me retract into myself and not purchase a thing that day. Now, a few days BEFORE Black Friday, I found myself at Sephora, swatched some NARS semi-matte lipsticks, and fell in love with the formula. The only other matte l/s I really own is MAC Russian Red, and I've been intrigued with finding a non-drying matte lately. I got NARS Shanghai Express and Scarlet Empress. Did a test run yesterday with the Shanghai Express; LOVED IT!!! These semi-mattes go on very opaque, but sheer out over the hours of wear--and they sheer out nicely. No splotchiness. OK, now I've turned this into a review...Have a great week!!! Thanks for the comment...had a lot of fun reading it ; ) Congrats on your new acquisitions...glad you love your NARS red lippies! I haven't used that formula in awhile, but am now inspired to revisit!